As we recoil from the awful images and try to make sense of the horror unfolding in the Middle East right now, and as America considers broad military action against ISIS in Iraq and Syria, we can’t help but feel a sense of déjà vu. ISIS militants in Syria…adding to the latest confusion and horror in the Middle East. 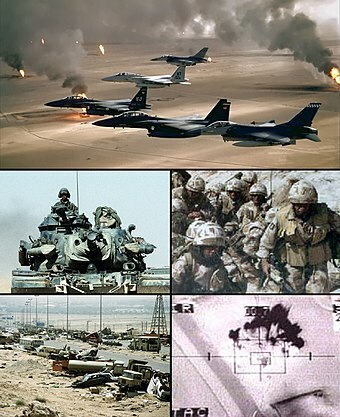 We are taken back to the First Gulf War of 1990-91 – also referred to as the Persian Gulf War and the Kuwait War and codenamed Operation Desert Shield/Operation Desert Storm. The reasons for America’s involvement in that dust-up were as cloudy and confused as they are for its involvement in the region’s current problems. Someone said the First Gulf War was like a movie without a screenwriter. Can’t remember who it was who said that. Wait a minute…oh yes, it was us! Certainly, it seemed to lack a coherent storyline or plot. And we should know. We are after all screenwriters as well as novelists. The First Gulf War…like a movie without a screenwriter. Some journos observed that the war was about overthrowing a dictator, which didn’t happen if you recall, while others said it was fighting to free the Iraqi people, which didn’t happen either. Let’s return to the June 1998 article Washington Peace Center intern Steve Pickering wrote for the center. It was curiously headlined The Making of an Enemy: Saddam Hussein. In this insightful article, which was written in the interim between the First and Second Gulf Wars, Pickering goes to great lengths to acknowledge the Iraqi leader’s war crimes, but also mentions US “foreign policy propaganda” and states the US had reasons for “demonizing Saddam Hussein”. He claims those reasons had nothing to do with fighting for the freedom of the Iraqi people. In the article, Pickering goes on to describe how throughout the period of the Iran-Iraq conflict “United States foreign policy was firmly in support of Iraq”. During this time, the Soviet Union, the UK, the US and various other major nations, all saw their (mainly oil) interests being threatened. As “the war shifted in Iran’s favor,” these superpowers and industrialized nations suddenly realized if Iran defeated the Iraqi regime, “Iraq would have become a mirror of the political situation seen in Iran”. Pickering also explains how the West saw its Middle Eastern interests threatened again in 1990 when Iraq invaded Kuwait. Only this time, Iraq was in the position Iran had formerly been in where they were the ones threatening Western interests. And thus, Pickering concludes, Western media suddenly informed the public of “the horrors of Saddam Hussein, of his despotic control, of his endless paranoid quest for power”. From the many years he’d spent in the Omega Agency, the special agent understood there were no obvious good guys or bad guys on the world stage. Contrary to the PR spin generated within Congress and spoon-fed to the well-meaning American public by a gullible or at least malleable media, Kentbridge also knew there were no clear sides anymore. As he often told the orphans, patriotism was a useless emotion because the modern world was no longer shaped by countries or governments. 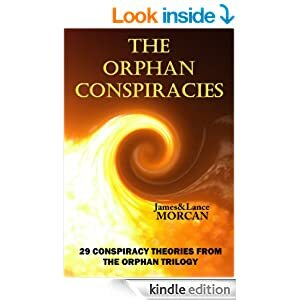 In fact, nations had long since been superseded by the vast spider web of elite conspirators spanning the globe.